The diversity of films at this year’s Spanish Film Festival is a fitting tribute to the festival’s 20th year. 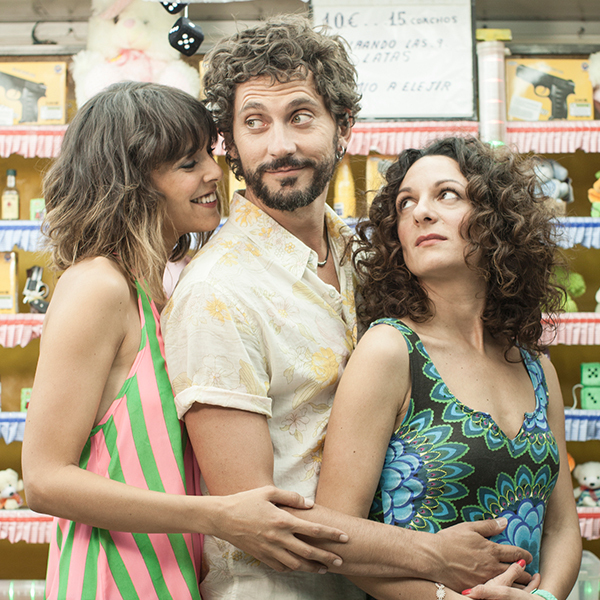 Bookended by the comedies Kiki, Love to Love (pictured) and The Trip to Spain, the festival will offer up a number of highlights in a comprehensive program of 39 films and special events. To help you decide what to see, here are five films to look forward to, from documentaries to sidesplitting comedy and heavy thrillers. Catalan director Carla Simon Pipó’s autobiographical film of six-year-old Frida is a touching and tender depiction of childhood. It took out the coveted Best First Feature prize at this year’s Berlinale, this highly anticipated film will make its Australian debut at the festival. The film is set in the summer of 1993, when Frida’s world is turned upside down after the death of her parents. She moves from Barcelona to a rural province, where she must learn to navigate country life with her aunt, uncle and cousin. If you are hoping that the Spanish Film Festival will provide you with a glimpse of Spanish life, that’s exactly what you will find in Spain in a Day. Since Ridley Scott’s 2011 documentary Life In a Day, companion pieces from Britain, Japan, India and Italy have been released, and now filmmaker Isabel Coixet offers up Spain’s instalment. The film showcases Spain as it was on 24 October, 2015, when more than 22,000 Spaniards recorded moments of their day. From everyday moments such as cooking and dancing to humanitarian acts like rescuing refugees, this film is a comprehensive snapshot of the country. While Penélope Cruz is a familiar name in Hollywood, she still maintains a prolific career in Spanish cinema. Her latest role in The Queen of Spain ­– one of the most anticipated films of this year’s program – saw her nominated for Best Actress at the Spanish Film Academy's Goya Awards. The film is the sequel to The Girl of Your Dreams that sees Cruz reprise her role as Hollywood star Macarena Granada, who returns to her Spanish homeland for filming at the height of Franco’s power in the 1950s. It’s a satirical take on this period and a stylish homage to 1950s Spanish cinema. Set in regional Argentina, The Distinguished Citizen has more depth than its comedic sheen may let on. Exploring themes of art institutionalisation and returning to our roots, the film has impeccable comedic timing as it descends into absurdity. Barcelona novelist Daniel Mantovani is famous for having won the Nobel Prize for Literature – an accolade that brought him more personal torment than joy. When he receives an invitation to return to his hometown in Argentina, a place he left 40 years ago, chaos ensues as the big-time writer is hosted by small-town folks. A cat-and-mouse thriller full of tension, May God Save Us won Best Screenplay at the San Sebastián International Film Festival. It follows two detectives who are on the hunt for a suspected serial killer during an intensely hot summer in Madrid. The story unfolds as the city prepares for a visit from Pope Benedict XVI and as the detectives get closer to finding their suspect, they begin to uncover a number of uncomfortable truths.